The 10ZiG Manager Centralized Management Software utility for Virtual Desktop Infrastructure (VDI) Solutions via 10ZiG Thin & Zero Clients; our Thin & Zero Client Management Software provides centralized ways to configure, maintain, control, and even report from all 10ZiG PeakOS™ (Linux) and Windows based Thin and NOS™ (Zero) Client devices for traditional managed networks. The 10ZiG Manager's Cloud Agent supports internet connectivity, enabling management of unmanaged locations, like small offices and home networks. End users deploying VDI, Session Virtualization, or Published Applications in addition to Managed Service Providers offering services such as DaaS, SaaS, and UCaaS, are able to manage these endpoints via the Cloud. The 10ZiG Manager Software is included at no cost with 10ZiG Thin/Zero Client purchases and supports unlimited user licenses. Work for 10ZiG Manager Thin & Zero Client Management Software? Learning about 10ZiG Manager Thin & Zero Client Management Software? "10Zig Manager - It's the REAL DEAL"
The ability to update all of the terminals from one place, pull and push the configurations to different terminals, and VNC to any online client is AMAZING. Everything is right there at your fingertips, just a few clicks away in most cases. The network discovery is easy to understand and set up whether you'd like to do specific clients or search an entire IP range. I wouldn't say that I, personally DON'T LIKE it, but the manager GUI does seem a bit outdated. There are some cosmetics that might make it more popular with younger admins. I don't mind the look, the sleeker the better for me but it's probably the only thing I could see someone nagging on. Don't be afraid to call for help. Everyone I've spoken with in their support department has been quick to respond and incredibly helpful. Before the 10Zig Manager was discovered we had absolutely no way to manage all of our thin clients spread out across 3 different campuses. Some configuration even had to be done locally, causing our team to have to waste travel time for simple tasks. 10Zig Manager showed us the ease of backup and restore of p images across a network. The ability to VNC to any client in the manager list when we needed to assist a user has been a huge time saver for us. We'd never go back! Thank you Shay for your 5-Star Review with feedback! We're so glad that you have found the 10ZiG Manager, as you put it, the "Real Deal" and please also know that we've passed along your insight to our team here at 10ZiG. "10zig manager client management software is fantastic!" The software is very comprehensive, well laid out and easy to use, and FREE! Most other vendors charge a pretty hefty fee for their client management tools. 10zig's is better than others I have seen and it's included at no charge! A very minor thing - sometimes the sharing/permissions setup on ImageStore can be slightly confusing - but it is a one time automated setup and a non-issue afterwards. Do not let the fact that it is free make you think it is a lesser product. Try it out and see for yourself that it includes features some others do not, and definitely has the capabilities that the expensive ones have. The client management software really saves admin/IT folks a lot of time with remote management, template rollout, shadowing users for support, etc. This benefits not just the admin team, but also provides the user population with a more coherent "standard" experience no matter which device they use. Thank you for your 5-Star Review with feedback, Jay! Just wanted to assure you that your helpful response has been passed along to our 10ZiG R&D team. "Night and day different from previous vendor. A decision we have no reason to regret." It's a very good free tool. It's constantly being worked on and simple to use. Remote management and end user assistance is a complete breeze. I feel the desktop console is a little more friendly than the web console. Both are very functional, it's just a preference. The nicest part about 10Zig is they have a completely free trial making the decision and review process easy. It shows how much effort and faith they have in their platform. Much more stable and easy to use client. When there are issues/questions, support is extremely knowledgeable and fast to respond. "A management console that rocks." We have over tons of these units and we couldn't do business without some sort of management console. The 10Zig console just works. Very little configuration and we are up and running. With other products we fiddle forever just to get them to recognize. We love these units. They are easy to configure, very stable and just work. Their wireless on the newest unit is a little unstable. We are a construction license certification school. We use these for test prep in all 5 of our locations. 10ZiG’s unit was extremely easy to install and easy to use. It's small in size but powerful and it makes managing large volumes of depots a breeze regardless of your location. Also, The ability to upgrade all terminals from one place, extract and send configurations to different terminals, and VNC to any online client is simply amazing. Everything is at your fingertips. The discovery of the network is easy to understand and configure if you want to make specific clients or look for a full IP range. There's a wide range of features, so it takes time to familiarize yourself with all the functions. Other than that we have not encountered any major disadvantages with it. It has lived up to our expectations and more. You can't go wrong with 10ZiG! It has helped scheduling and completing all of our tasks with ease. Our processes are streamlined with 10ZiG Manager. its very user friendly and easy to pick up. It definitely had a lot of options which was great since there were a lot of need my company had. can be slow at times but it could of been because of our internet. It did take some time to pick certain things up but overall it was good. Definitely try it out we looked at several different programs and everything seemed too complicated to use. worked for a start up company and was looking into a way to manage clients and keep track. We actually were looking for something simple but found great use that we didn't know we would need. I am very pleased with both the 10ZIG zero clients and the ease of use of the management console. When I called support for guidance, the technician had the answer even before I finished the question. Excellent service. The product is great but the manual could be a little clearer explaining the management options for different client types. We are gradually converting some of our labs to VDI. The 10ZIG clients and management software are making is more cost effective and simpler to institute. 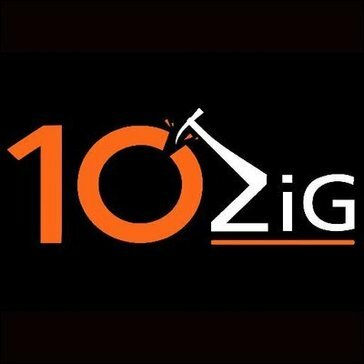 "10Zig's New Centralized Mgmt Utility - Great Tool"
Great to have this tool centrally manage our thin clients, and push out firmware updates with ease. Makes provisioning a breeze, and allows us to keep a handle on our thin client deployments. A nice job updating and enhancing this tool. Not a single thing, quite like what they have to offer. Stick with this product it will be worth your time and resources. As a daily user I've found immense value in this platform, and will continue to for years to come. Managing a large customer base with piece of mind. Flexibility of the product is great for purpose of its use. I started using this when I started by new job and its been so helpful! Nothing so far, I have used it for three months and have been beyond happy with it. I love how efficient it is. I use it everyday and has been easy to learn. * We monitor all 10ZiG Manager Thin & Zero Client Management Software reviews to prevent fraudulent reviews and keep review quality high. We do not post reviews by company employees or direct competitors. Validated reviews require the user to submit a screenshot of the product containing their user ID, in order to verify a user is an actual user of the product. Hi there! Are you looking to implement a solution like 10ZiG Manager Thin & Zero Client Management Software?